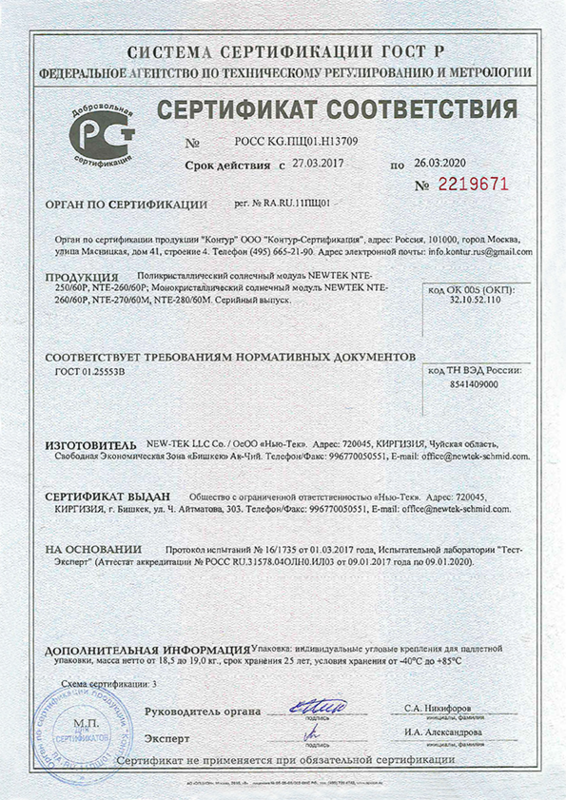 On March 23, our company passed voluntary certification and received a certificate of conformity of products under the GOST-R standard of the PCT. All our products meet the requirements and safety standards. The certificate is issued for 3 years and is registered with the FEDERAL AGENCY FOR TECHNICAL REGULATION AND METROLOGY.